White wine should be served chilled. Red wine should be served at room temperature. But inevitably the vineyard heat hits grape pickers who would count themselves not just lucky but more productive if they could pick on a mild day. And as global temperatures rise, grape harvests could be affected simply because manual worker efficiency goes down as the mercury goes up, according to a new study. Researchers from Greece, Cyprus, Denmark and Canada report that higher temperatures for grape pickers correlated with a significant labor loss of up to 27%: the physical cost of labor in temperatures of 36°C – which can happen in the vineyards of Cyprus – told on the metabolic and cardiovascular systems of the grape pickers, and resulted in reduced output, according to a study in the journal Temperature. Wine is big business: it now accounts for one 500th of the global GDP and is a significant component in the economies of France, Germany and southern Europe, as well as California, Chile, Argentina, Australia and New Zealand. Researchers have already begun to measure the impact of global warming and climate change as a consequence of the profligate combustion of fossil fuels worldwide. Higher summer temperatures and earlier springs have shifted the vintages earlier in the year as European temperatures start to rise. Such changes have paid off for some, as the conditions for viticulture shift northwards, but they have created problems in the more southerly zones, even casting doubts on the future of that natural stopper cork, from the bark of the cork oak. And although researchers have warned about the costs of extremes of heat to economies around the world, and to Australia in particular, there has been little direct study of the impact of temperature rise on European workers in a particular field of agriculture. Much agriculture is now machine-driven, but for more than 5,000 years grapes have been picked by hand: in Cyprus pickers must do this in August temperatures of 36°C, which in Germany would be considered a heatwave. Under such conditions, worker health and efficiency becomes a concern. Grapes, too, respond to climate conditions – that is why some vintages are more valued than others – so the European scientists had to devise a way of measuring the human costs of labour in higher temperatures rather than overall economic losses. They monitored workers near Paphos in Cyprus on four separate days in 2016, spread through a grape harvest that began in August and ended in October. They selected seven healthy workers accustomed to working in the heat, they made physical measurements of each worker, they monitored heat, humidity and breeze, and they used video studies to analyse time and motion not just by the hour, but by the second. To avoid bias in the outcome, they initially told the selected workers it would be for a video about the making of wine, and then later told them the real reason and got their consent to the experiment. Altogether, they recorded the picking of 9,600 kg of grapes. And they found that, on the hotter days of the experiment, the time spent not working during each eight-hour shift was higher. On the hottest days, irregular work breaks reached 15.3% of the working day; in the cooler autumn this fell to 10%. Altogether there was up to 2.1% increase in work-break time per hour with each rise of 1°C in the temperature. 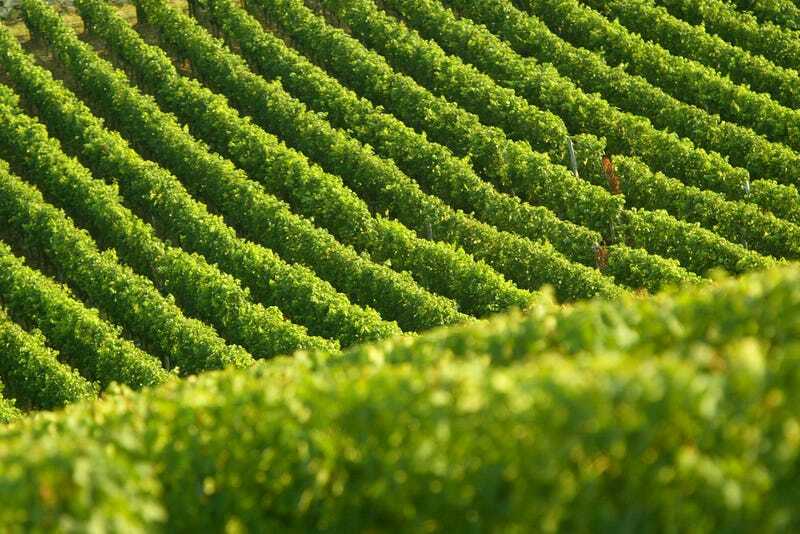 The researchers write that their measurements proved more accurate than vineyard managers’ estimates of efficiency, that time and motion analysis delivers a reliable way of measuring output, and more emphatically that heat affects the ability to work. “The studied grape-picking workers experienced increased workplace heat, leading to a significant labor loss,” they write. This story was originally published by Climate News Network.